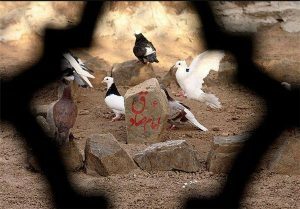 Imam Ja’far Ibn Muḥammad Al-Ṣadiq (Arabic: جعفر بن محمد الصادق‎) (PBUH) was known as Imam sadiq, was a descendant of Imam Ali (PBUH) from his father’s side and a descendant of Lady Fatimah (PBUH) from his mother’s side and was himself a prominent jurist. He is revered as an Imam by the Shia and as a renowned Islamic scholar and personality by Sunni Muslims. The Shia Muslims consider him to be the Sixth Imam or leader and spiritual successor to the Prophet Muhammad (PBUH). He is highly respected by both Sunni and Shia Muslims for his great Islamic scholarship, pious character, great personal merits and academic contributions. Shia Islamic “Fiq’h” (jurisprudence), “Ja’fari” jurisprudence is named after him. The books on Ja’fari jurisprudence were later registered by Muhammad Ibn Ya’qub Al-Kulayni (864- 941), Ibn Babway (923-991), and Nasir Al-Din Al-Tusi (1201-1274). He was a polymath: an astronomer, scholar, theologian, writer, philosopher, physician, physicist and scientist. He is also the teacher of the famous chemist, Jabir Ibn Hayyan (Geber) and many other scientists. Imam Ja’far Al-Sadiq (PBUH) was born in Medina in 702 AD (17 Rabi’ al-Awwal, 83 A.H), to Imam Baqir (PBUH). Imam Sadiq (PBUH) was 34 years old when his father was poisoned by Umayyad Caliph. Then according to the order of God, he became Imam (leader) of Muslims. As a child, Imam Sadiq (PBUH) studied under his grandfather, Imam Sajjad (PBUH). After his grandfather’s martyrdom, he studied under and accompanied his father, Imam Baqir (PBUH), until Imam Baqir martyred. Imam Sadiq (PBUH) became well versed in Islamic sciences, including Quran and Hadith. In addition to his knowledge of Islamic sciences, Imam Sadiq (PBUH) was also an adept in natural sciences, mathematics, philosophy, astronomy, anatomy, alchemy and other subjects. The foremost Islamic alchemist, Abu Musa Jabir Ibn Hayyan, known in Europe as Geber, was Imam Sadiq’s most prominent student. Imam Sadiq (PBUH) was known for his liberal views on learning, and was keen to have discourse with Scholars of other views. He, himself, published several books, most notably Islamic Law: According to Ja`fari School of Jurisprudence. Imam Sadiq married Fatimah bint Hassan, a descendant of Imam Hassan (PBUH). Imam Sadiq lived in violent times. He was an Imam, however, many of his relatives had died at the hands of the Umayyad. Many of his kinsmen, including his uncle, were killed, and others were punished by the Umayyad caliph. There were some rebellions during these last years of the Umayyad, before the Abbasids succeeded in grasping the caliphate and establishing the Abbasid dynasty in 750 CE, when Imam Ja’far Al-Sadiq (PBUH) was 48 years old. Imam Baqir (PBUH) and his son, Imam Sadiq (PBUH), explicitly rejected the idea of armed rebellion. Many rebel factions tried to convince Imam Sadiq to support their claims. Imam Sadiq (PBUH) evaded their requests without explicitly advancing his own claims. Imam Sadiq (PBUH) declared that even though he, as an Imam, was the true leader of the Muslims, he would not gain to his rights by violence. The new Abbasid rulers, who had risen to power on the basis of their claim to descent from Prophet Muhammad’s uncle ‘Abbas ibn ‘Abd al-Muttalib, were extremely suspicious of Imam Sadiq (PBUH), whom many considered to have a better claim to the caliphate. Imam Sadiq was watched closely and, occasionally, imprisoned to cut his ties with his followers, he endured the persecution patiently and continued his study and writing wherever he found himself. The downfall of the Umayyad and the rise of the ‘Abbasids constituted the two principal plots in the drama of Islamic history. This was a most chaotic and revolutionary period when the religious morals of Islam had gone down and the teachings of the Holy Prophet were being neglected, and a state of anarchy was rampant. It was amidst such deadly gloom that the virtuous personage of Imam Sadiq stood like a beacon of light shedding its luster to illuminate the ocean of sinful darkness around. The world got inclined towards his virtuous and admirable personality. Abu Salamah al-Khallal also offered him the throne of the caliphate. But the Imam keeping up the characteristic tradition of his ancestors flatly declined to accept it, and preferred to content himself with his devotional pursuits and service to Islam because he knew if he take place as caliph, he wouldn’t be allowed to rule in Islamic way. 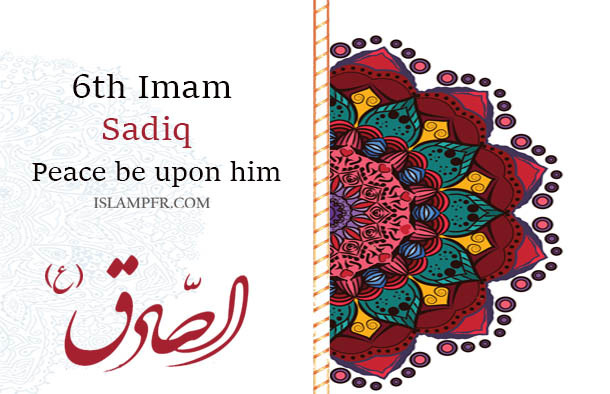 The versatile genius of Imam Sadiq (PBUH) in all branches of knowledge was acclaimed throughout the Islamic world, which attracted students from far-off places towards him till the strength of his disciples had reached four thousand. The scholars and experts in Divine Law have quoted many Hadith from Imam Sadiq (PBUH). His disciples compiled hundreds of books on various branches of science and arts. Other than “Fiq’h” (Islamic jurisprudence), Hadith, tafsir (exegesis of the Holy Qur’an), etc. the Holy Imam also imparted mathematics and chemistry to some of his disciples. Jabir ibn Hayyan (Geber), a famous scholar of mathematics, was one of the Imam’s disciples who benefited from the Imam’s knowledge and guidance and was able to write four hundred books on different subjects. It is an undeniable historical truth that all the great scholars of Islam were indebted for their learning to the very presence of the Ahl Al-Bayt (12 Imams) who were the fountain of knowledge and learning for all. The Imam devoted his whole life to the cause of religious preaching and propagation of the teachings of the Holy Prophet and never strove for power. Because of his great knowledge and fine teaching, the people gathered around him, giving devotion and respect that was his due. This excited the envy of the ‘Abbasid ruler al-Mansur ad-Dawaniqi who fearing the popularity of the Imam, decided to do away with him. Finally, in 765 A.D (25th Shawwal 148 A.H), the governor of Medina by the order of al-Mansur, the Abbasid Caliph, got the Imam martyred through poison. The funeral prayer was conducted by his son Imam Musa al-Kazim (PBUH), the Seventh Imam, and his body was laid to rest in the cemetery of Baqi. The shrine containing Imam Sadiq’s tomb was destroyed in 1925 during the conquest of Medina by Al-Saud tribes (Wahhabi). This was part of a general destruction of memorials in cemeteries for beliefs. In the eyes of Wahhabis, historical sites and shrines encourage “shirk” (the sin of idolatry or polytheism) and should be destroyed but it’s against Islam’s view. It’s provable that keeping these memorials and pilgrimage isn’t Shirk.